Joey Pietromicca, Touch no. 2, 2017, ink on canvas. 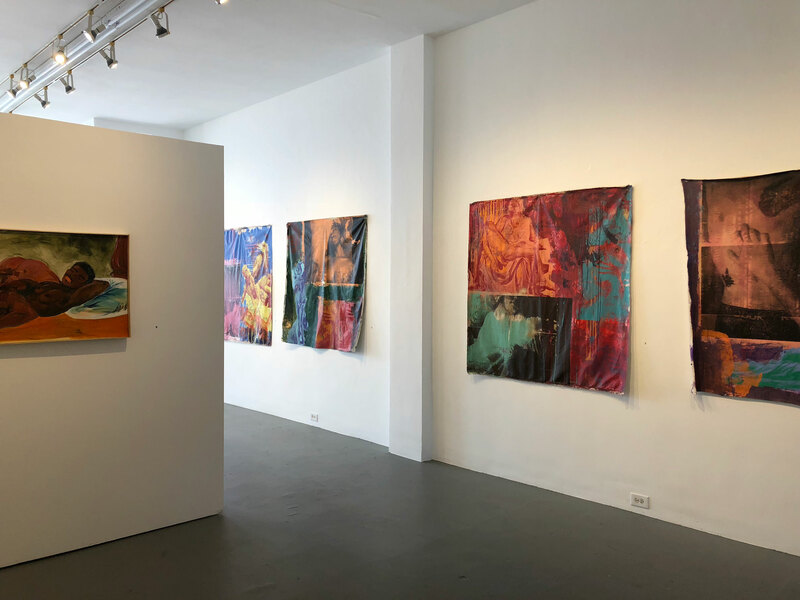 This exhibition features large-scale, mixed-media paintings by Joey Pietromicca and Bria Green, as well as a selection of paintings and sculptural works by Ari Moore. Tender, sensuous, bold, drawn from multiple perspectives, these portraits of desire, love, and longing can be seen as part of an ongoing push by queer artists to represent their worlds on their own terms. Amidst their forms, figures, and lively colors, a deeper question lurks: what do we really desire, and how do we come to want what we do? 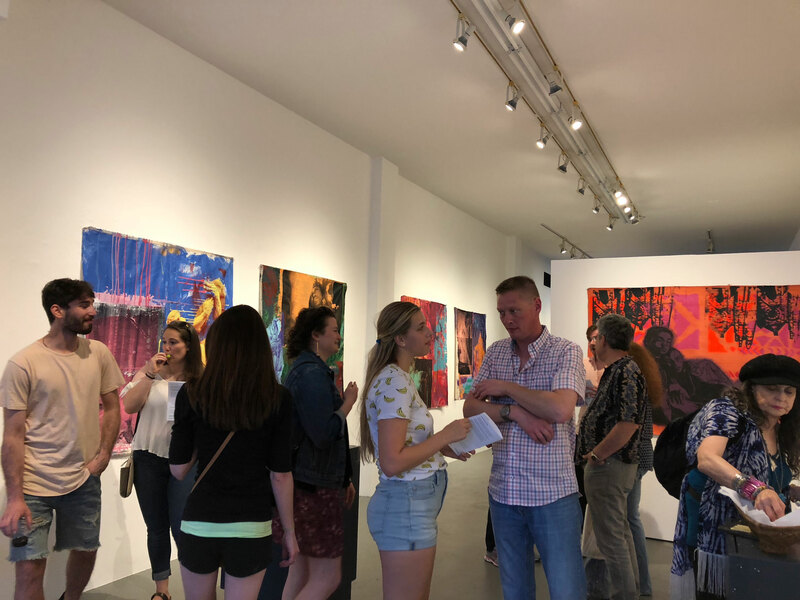 The exhibition opening reception coincides with EXIST, an outdoor festival organized by Allentown First Friday Gallery Walk in celebration of Pride Week. Bria Green is a Buffalo native and recent graduate of Daemen College with a BS in Art and a minor in Animation. 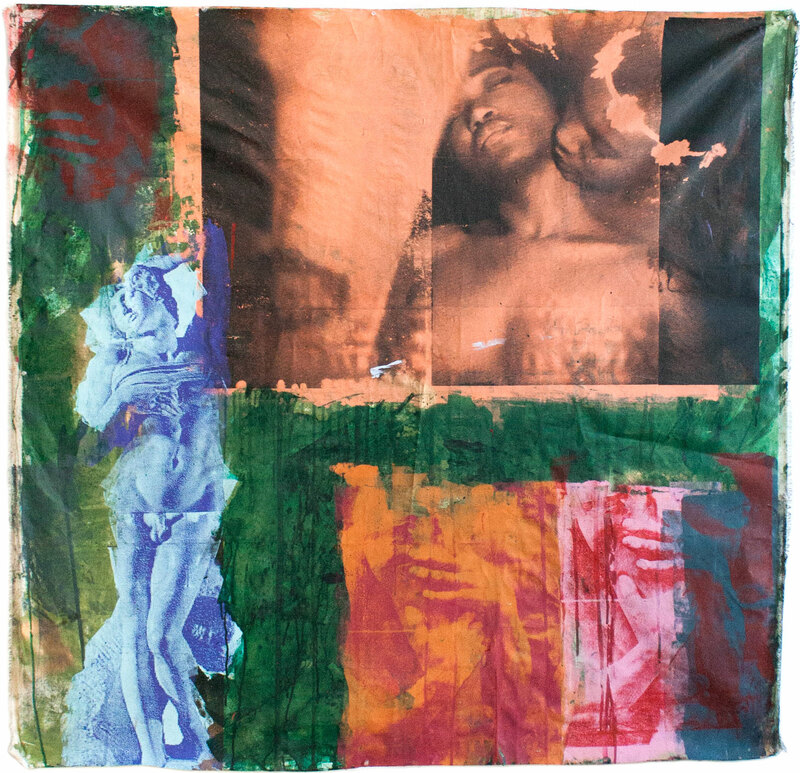 Her works have been recently exhibited at FREE AGENT, the Niagara Arts & Cultural Center, Main Street Gallery, and in Panthfrica at Buffalo Arts Studio. Ari Moore is an artist, activist, advocate, story teller, and lifelong Buffalo resident. She received a degree in Art Education from Rosary Hill College (now known as Daemen College), and was an art instructor at the Albright Knox Art Gallery and the Langston Hughes Center. She owned and operated the Inner City Art Studio, before joining the Buffalo Police Department, where she served as Officer for twenty-five years before retiring. Joey Pietromicca is a graphic designer and artist from Buffalo. He recently graduated from Daemen College with a BFA in Graphic Design. His works often make use of serigraphy, painting, and photography.